It is a well-known 18th century rhyme and a memorable quote perhaps immortalized by the film V for Vendetta. The movie features Hugo Weaving as an enigmatic vigilante sporting a Guy Fawkes mask (both as symbolism and to cover his gruesome burns via government experimentation) who delivers such fervid lines as, “Beneath this mask there is an idea, Mr. Creedy, and ideas are bulletproof.” While the verses of the Guy Fawkes poem are widely recognized and even plastered over social media today, it is unlikely that everyone is familiar with its origin. 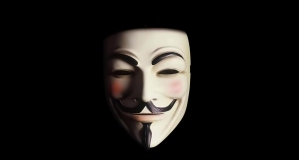 Guy Fawkes Day is a British observance mostly celebrated in the U.K. and other countries that were formerly a part of the British Empire (lookin’ at you, North American colonies). It takes place on Nov. 5 (today) and memorializes the failed Gunpowder Plot of 1605. The Gunpowder Plot conspirators, led by Robert Catesby, planned to bomb the Houses of Parliament (House of Lords) during its state opening, aiming to assassinate the King along with members of Parliament. The conspirators were ardent Roman Catholics who believed King James’s intolerance toward Catholics to be unjust, with his severe penal law against those who practiced the religion. Despite its history, this observance is no longer a tribute to parliament, but rather a tribute to the conspirators who had the audacity to challenge authority. People around the world wear Guy Fawkes masks in protest, as seen during the Occupy Wall Street movement and the Arab Spring, to hide their identities. Today, the Million Mask March World Event, brought together by the Anonymous movement, takes place near political institutions around the globe. Activists planned rallies in more than 400 cities, including Washington D.C. and London, with Facebook pages set up in countries from Nigeria to Belize. In D.C., the rally is scheduled to move from the Washington Monument to the street by the White House, with more than $2,000 raised for transportation and accommodations for the Anons. Similarly, in London, thousands of individuals intend to rally at Trafalgar Square, a hotspot for past Anonymous Guy Fawkes Day congregations that successfully occurred in large numbers. Unlike V in the film, activists plan to march silently and “resist peacefully” in the event of police action. While the Guy Fawkes rhyme was established in the 18th century and the movie V for Vendetta debuted in 2005, the spirit of Guy Fawkes is very much alive today — perhaps more than ever — as individuals come together to protest political injustices all around the world.